This moisturizing face cream combines Aloe Vera’s unique hydration properties with the regenerating effects of Centella Asiatica stem cells, providing a soft, fresh and radiant skin. Its sun factor protects skin against pollution, photo-aging and UVA-UVB rays. - Maximum hydration for all skin types, including dry and damaged. - Suitable for men and women. - Does not leave oily traces. - Apply morning and/or evening over clean face and neck. - Spread evenly from the center of the face towards the sides. - Avoid direct contact with eyes, mucous membranes and open wounds. - Do not use on infants under 3 years old. Moisturizer formulated with natural rosehip extracts for daily care of all skin types helping to regenerate the skin. This moisturizing-firming body milk, formulated and produced under maximum quality standards, combines Aloe Vera’s unique hydration properties with the regenerating effects of Rosehip Oil and the firming power of Indian pennywort. 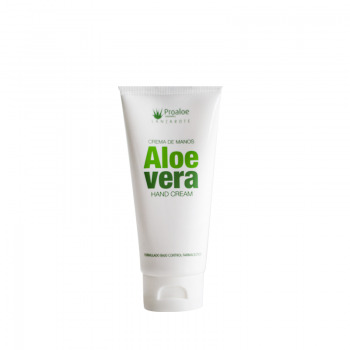 The Aloe Vera Mosturizing Cream Face and Body, is formulated with a careful selection of components. Chamomilla, Shea Butter and Aloe Vera care for and restore the skin hydration and skin natural softness. This luxurious face cream regenerates and has a lifting effect on skin thanks to the combination of Aloe Vera’s hydrating properties and the revitalizing power of Gold. This velvety cream has been carefully formulated with active ingredients which help to moisturize, nourish, regenerate and protect hand and nails. Achieved through the combination of Aloe Vera, Almond Oil, Honey extract and Vitamin E, all of which have moisturizing, regenerating and healing properties. Treatment for eye contour that combines aloe vera, gold, caffeine, jojoba oil and açaí and brings light to the eyes. Improves hydration and firmness of the eye area, exposed daily to external aggression, over time, fatigue or stress. It contains no parabens and thanks to the sunscreen, your skin will be protected. This luxurious face cream regenerates and has a lifting effect on skin thanks to the combination of Aloe Vera’s hydrating properties and the revitalizing power of Gold. Wrinkles are smoothed and skin is protected against free radicals. 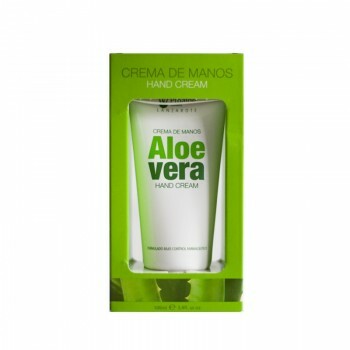 Works against flabbiness and provides skin a natural glow, leaving it soft and firm. This moisturizing and firming body milk, produced under maximum quality standards, combines Aloe Vera’s unique hydration properties with the regenerating effects of Rosehip Oil and the firming power of Centella (also known as Asiatic Pennywort or Gotu Kola).